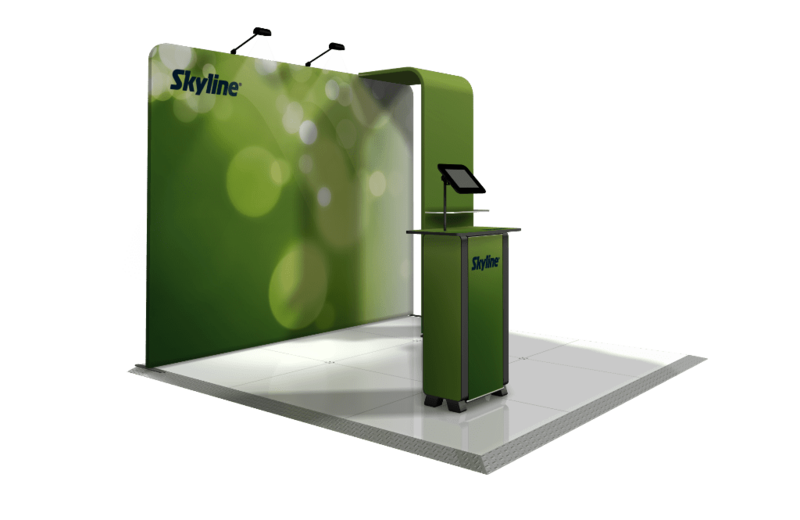 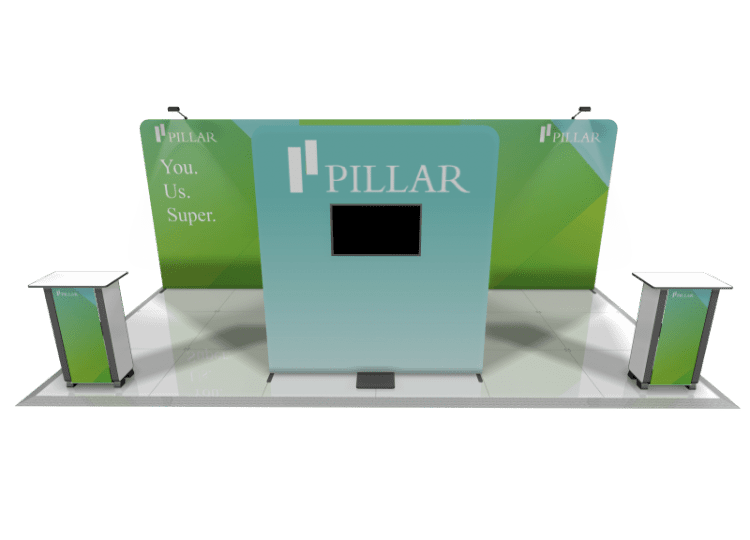 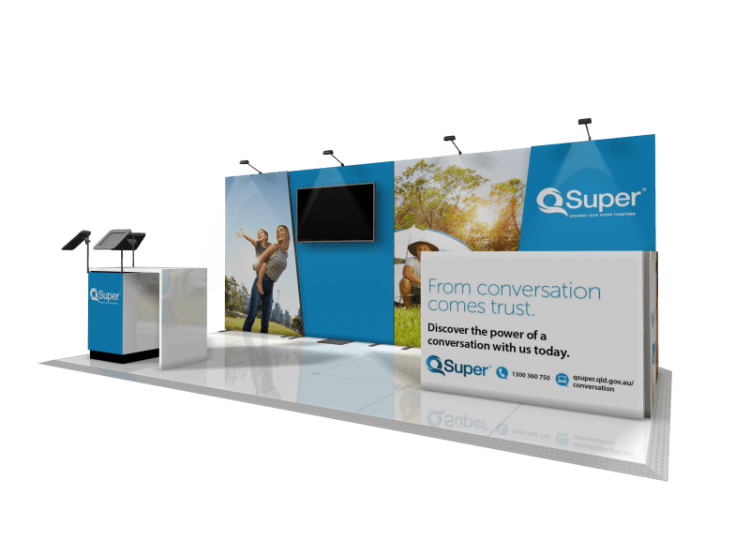 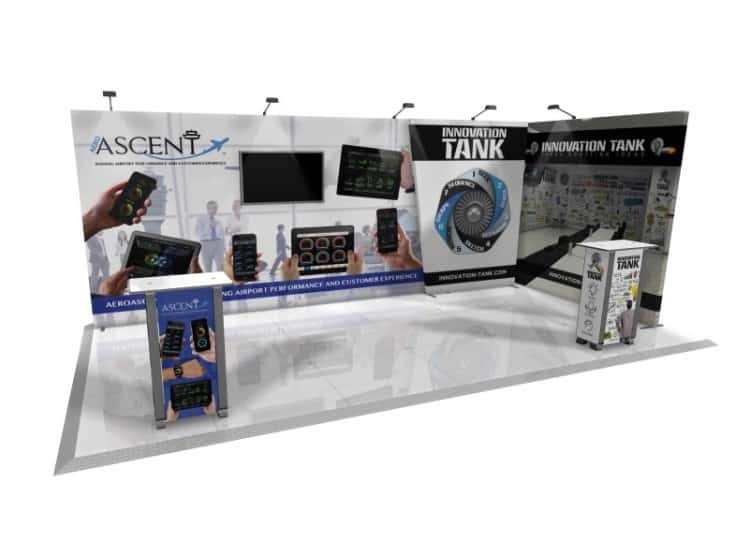 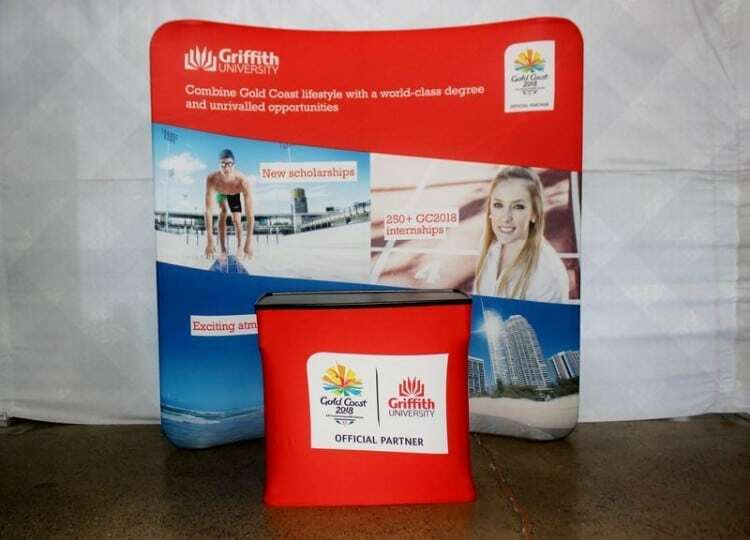 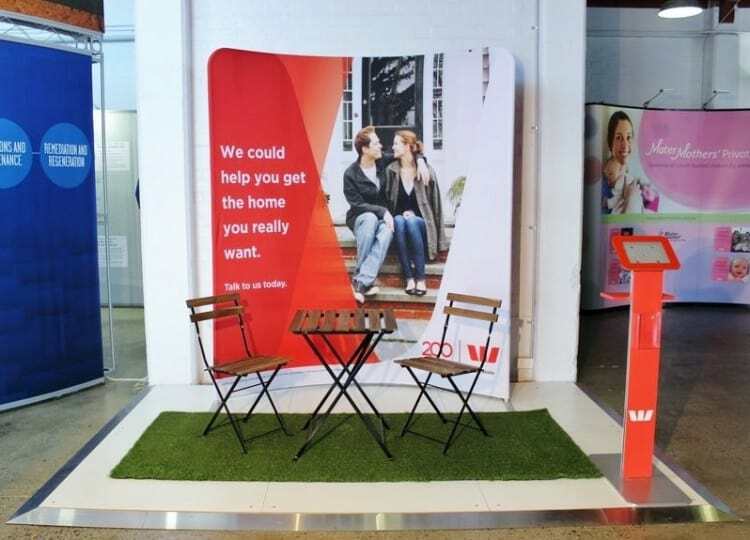 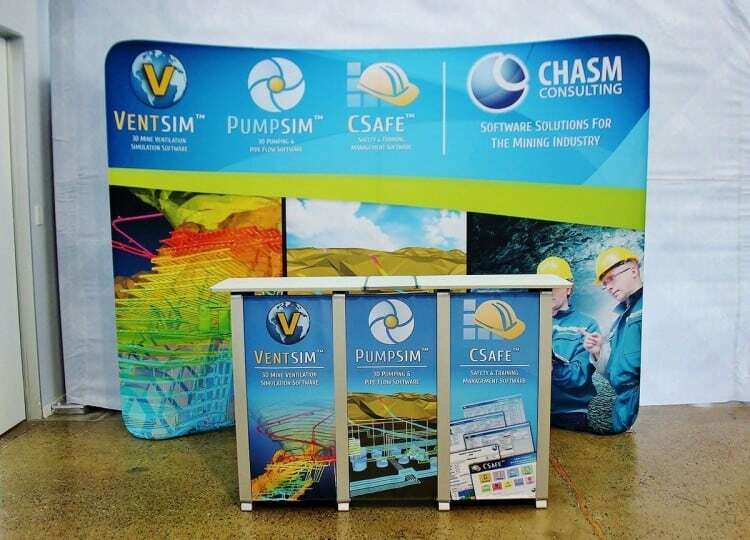 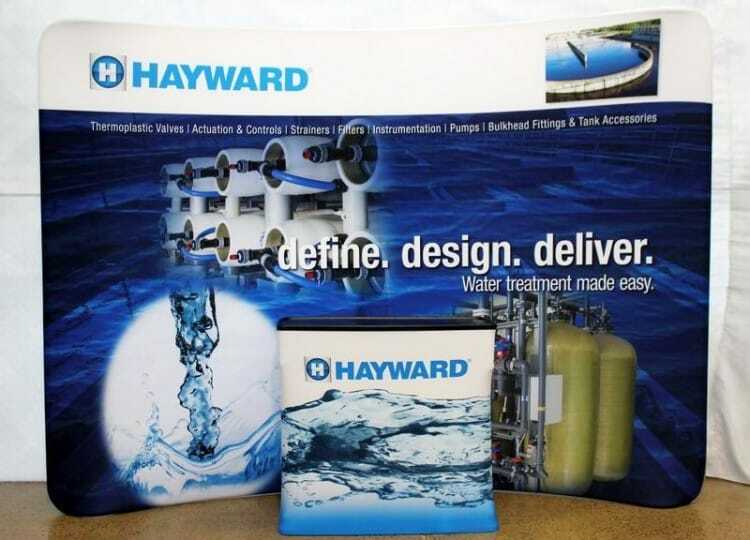 Looking for a portable display that will seamlessly showcase your brand in large format and won’t stretch your budget? 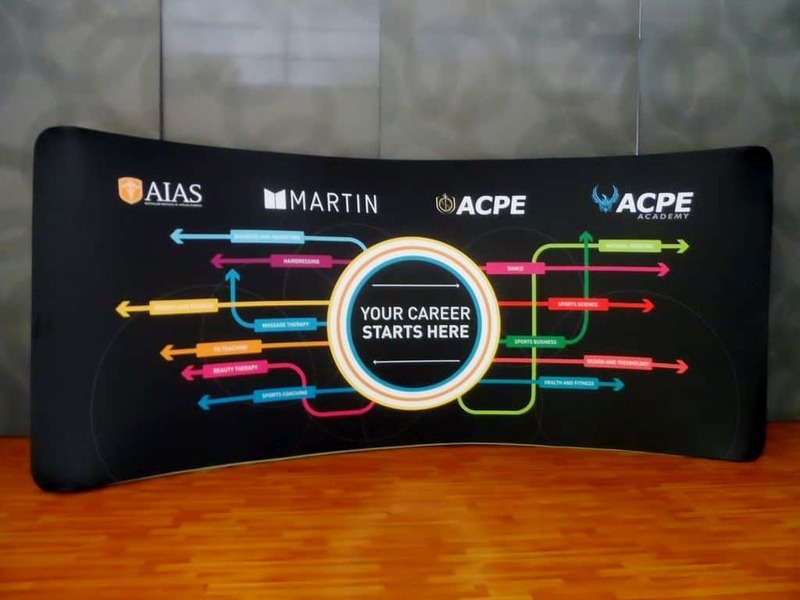 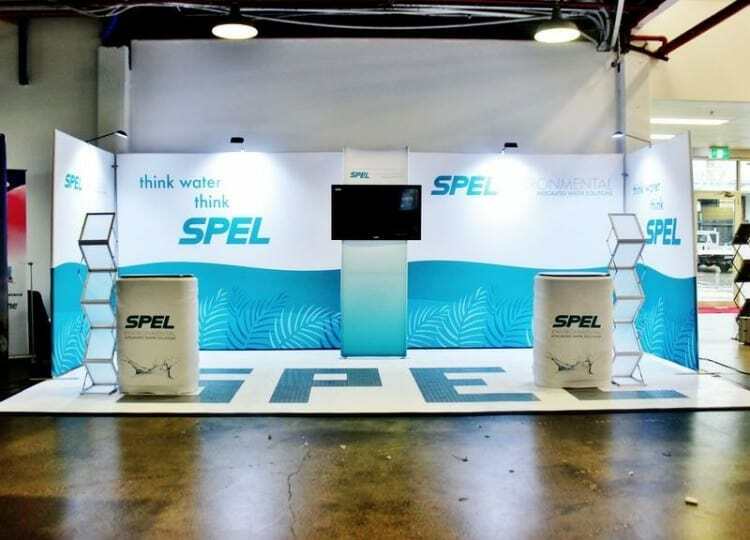 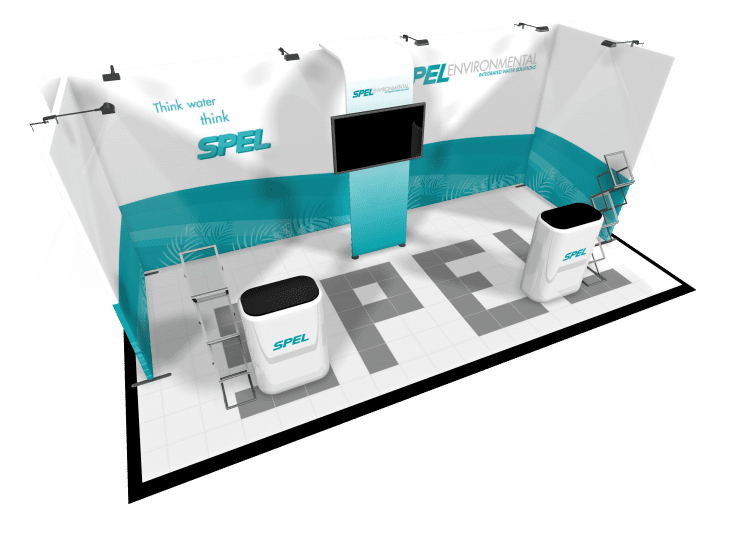 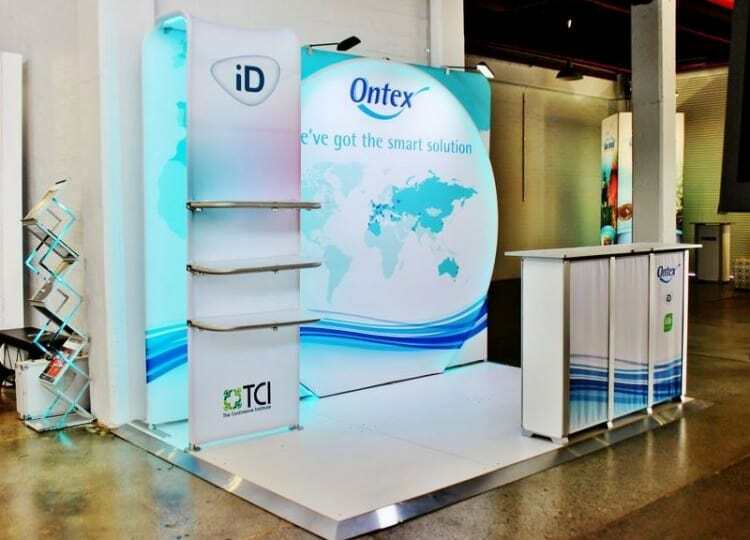 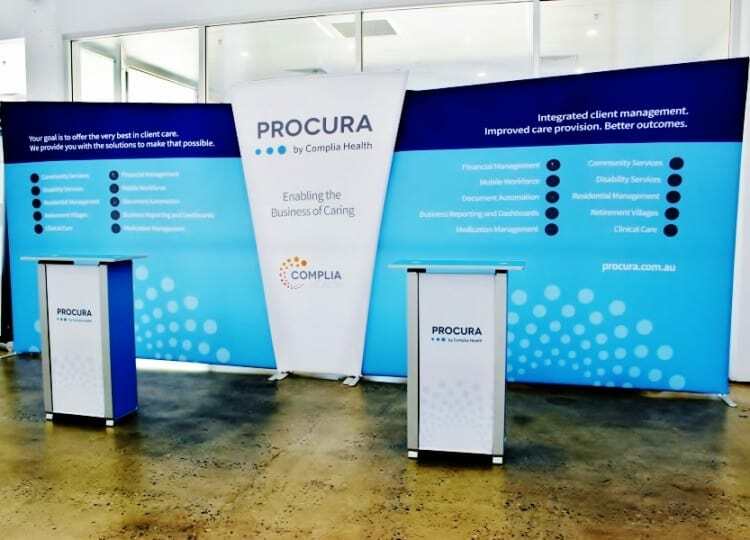 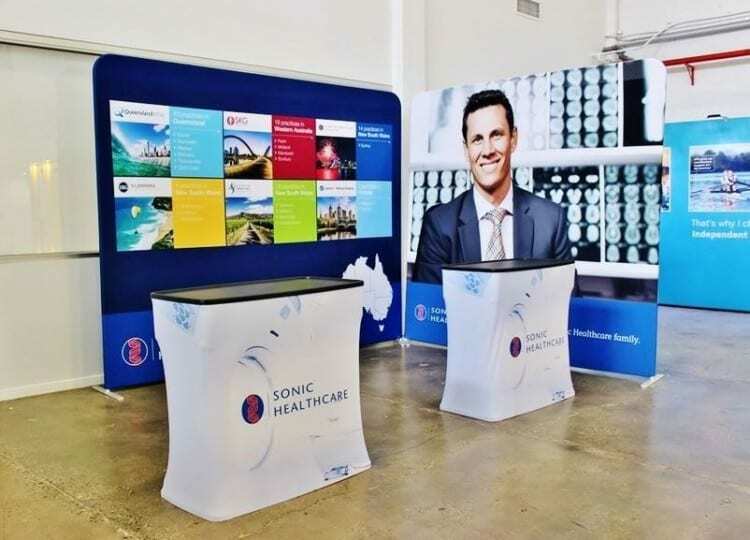 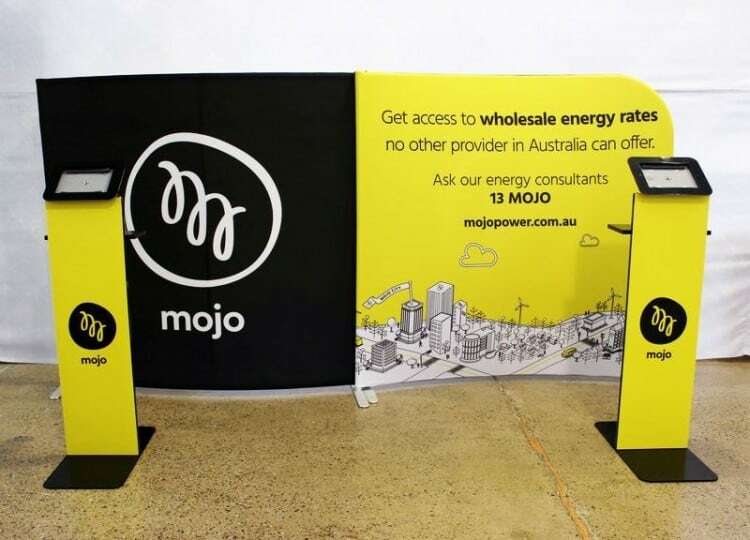 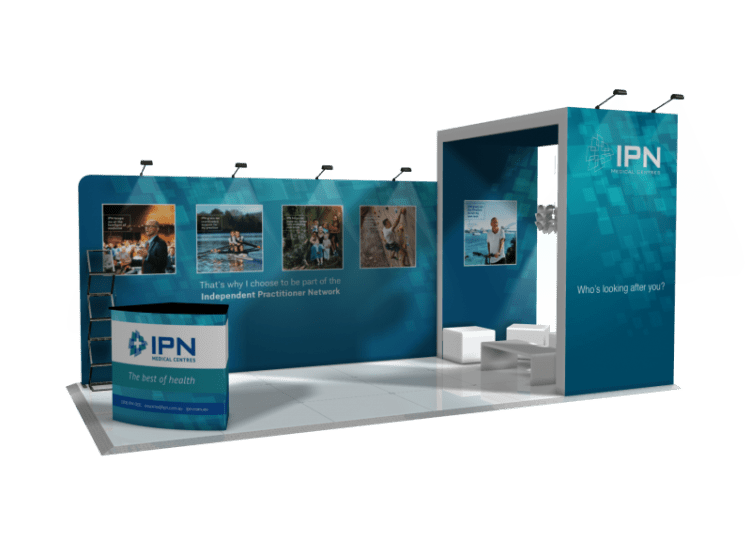 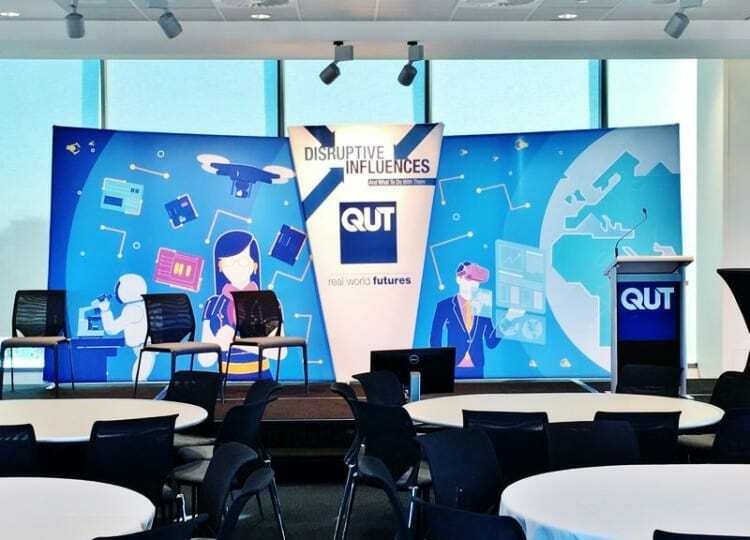 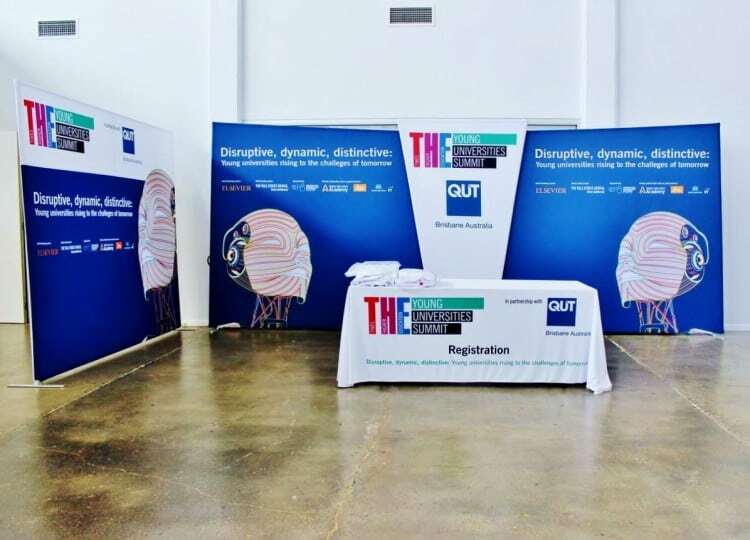 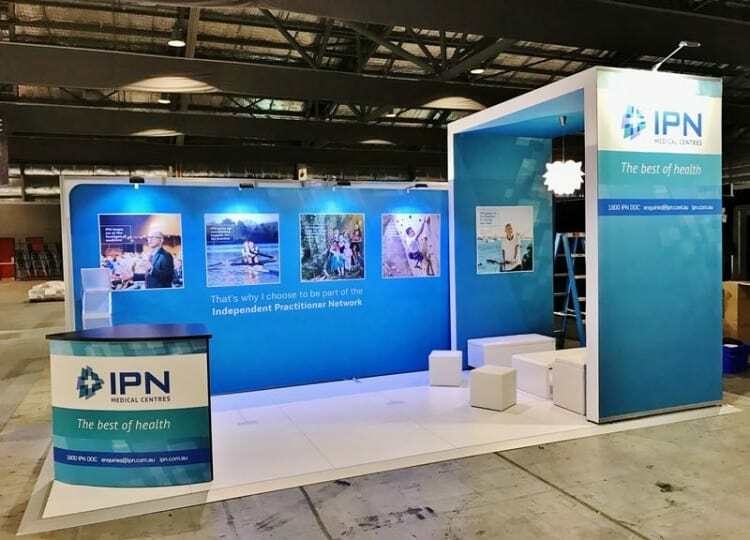 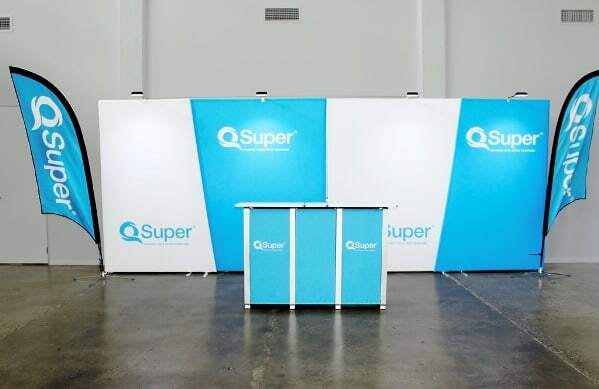 The Stretch Fabric Wall display is the perfect display solution for those looking for a seamless graphic back wall solution that can be used at conferences, trade shows, exhibitions and other events. 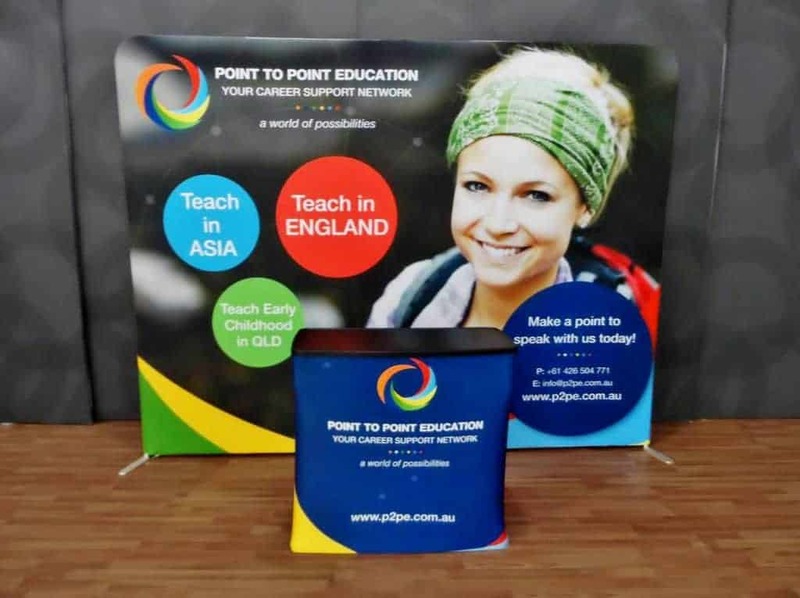 Your design and messages will be dye-sub printed onto recyclable polyester virtually “Wrinkle Free” stretch fabric to create a high quality seamless tensioned fabric graphic panel that zips around the display frame. 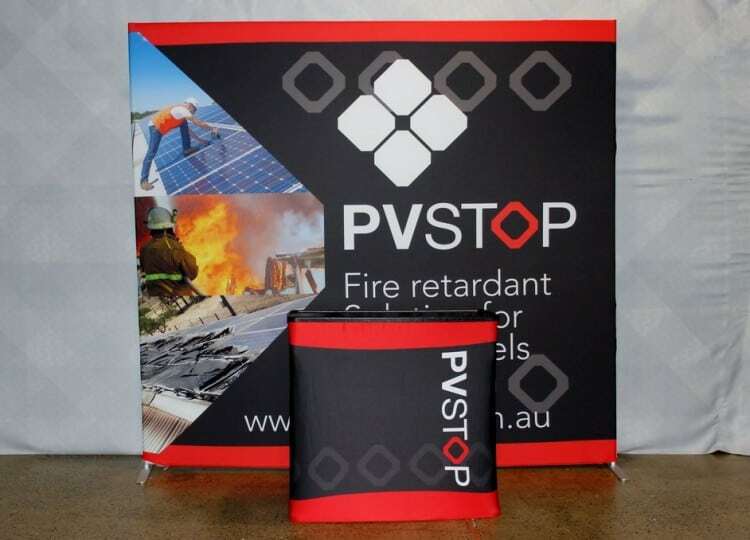 The Stretch Fabric Wall frame is lightweight, portable and sturdy. 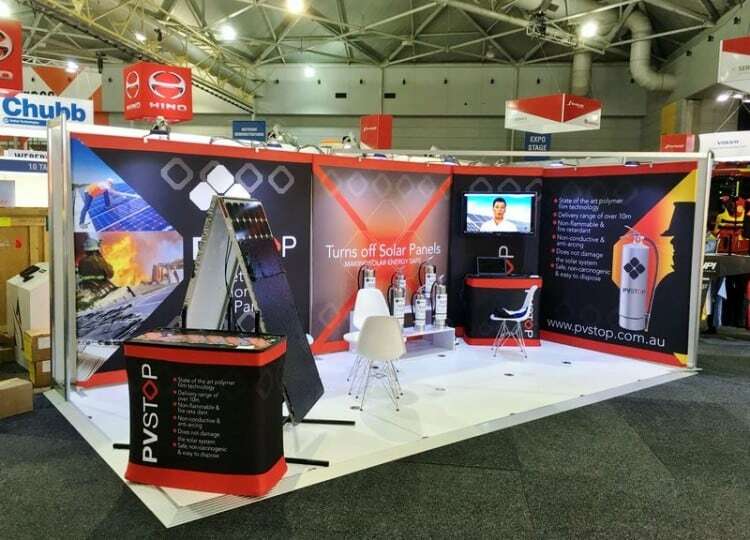 It is constructed from 32mm diameter aluminium tubing. 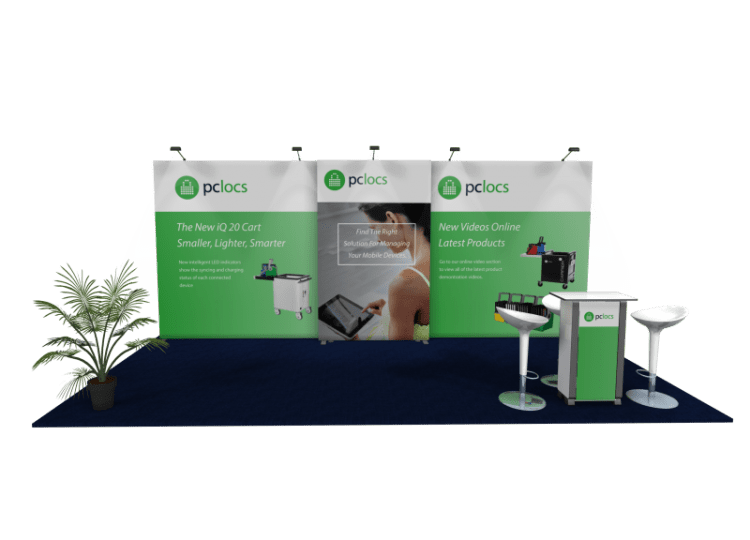 The Stretch Fabric Wall hardware is designed to take up minimal booth space leaving you plenty of room for products and people! 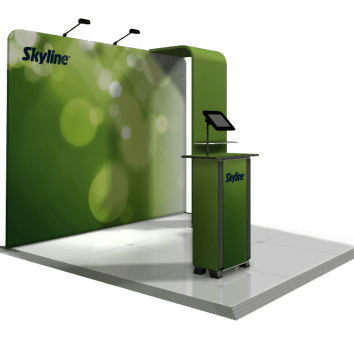 The Stretch Fabric Wall packs into a durable soft-sided case for ease of transport or upgrade to a plastic moulded hard case that can easily convert into a counter. 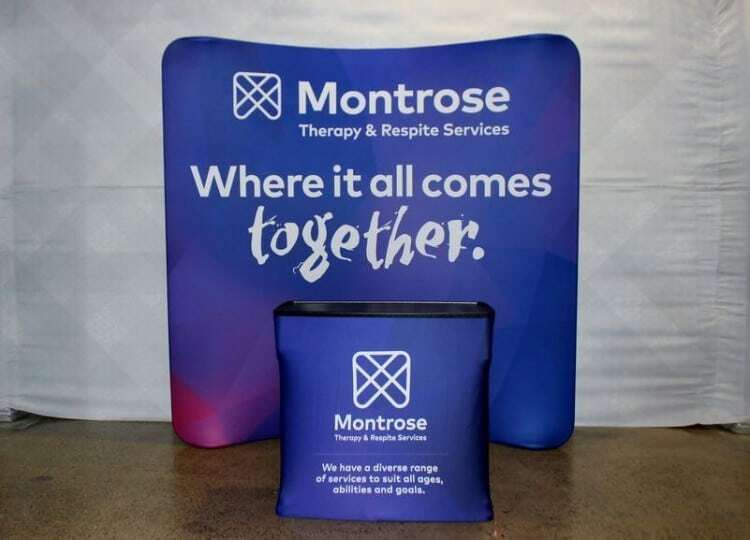 Extremely easy to set-up and use. 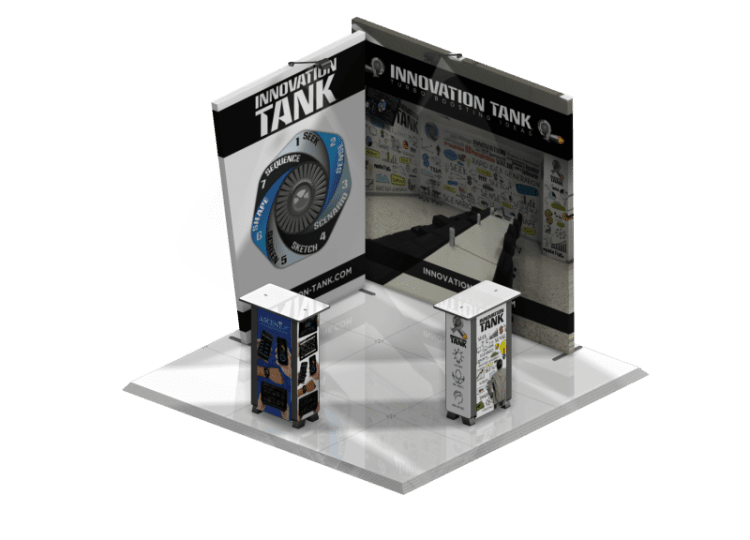 Assemble the entire display in minutes. 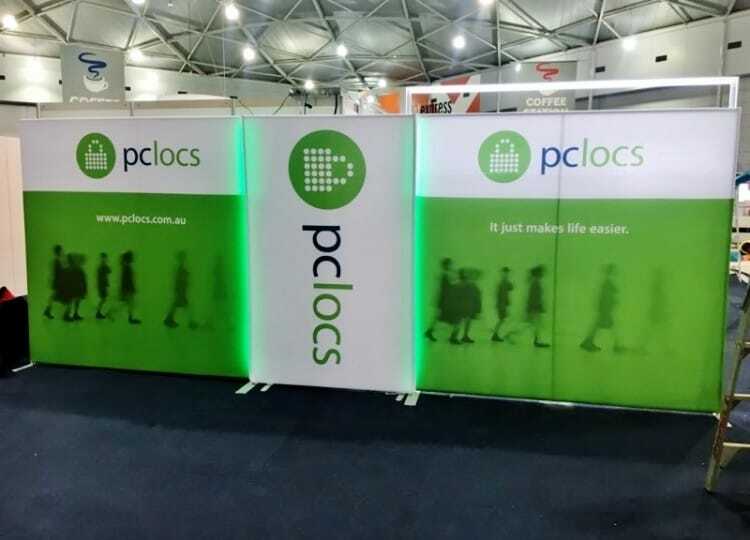 Option of either 1.5 metre or 2.4 metre high displays. 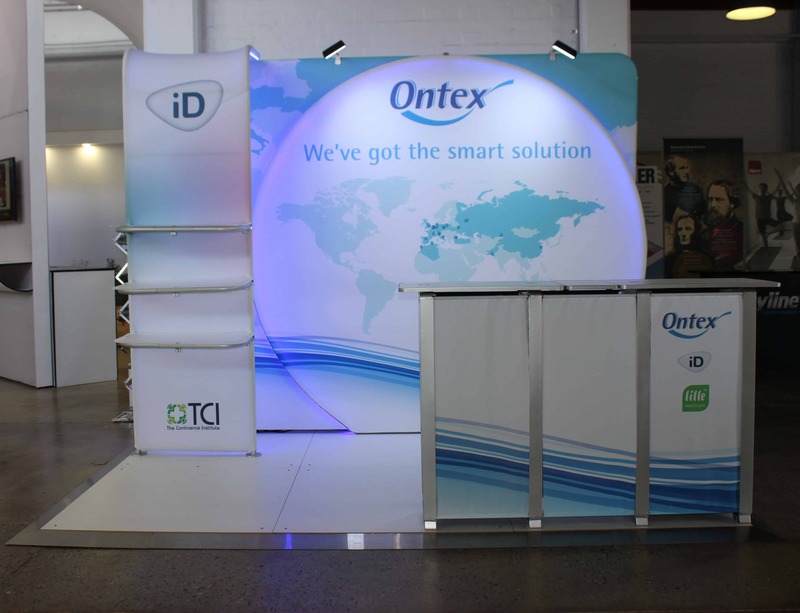 2.4m, 3m or 6m Curved Display widths as standard. 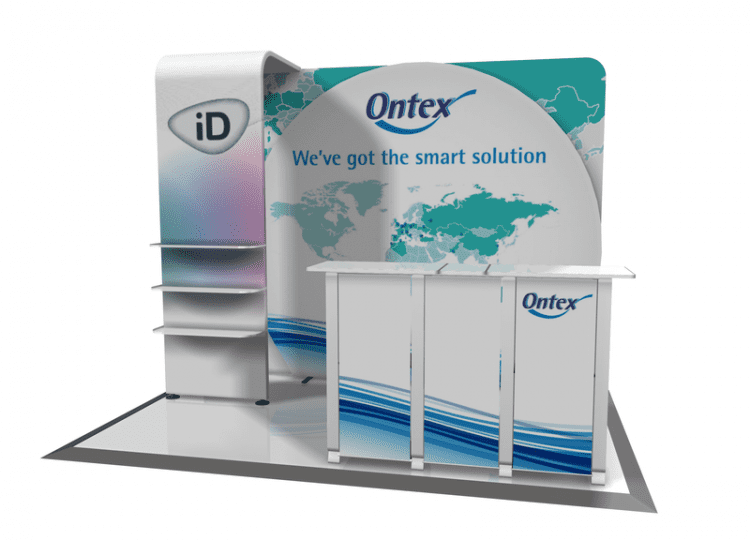 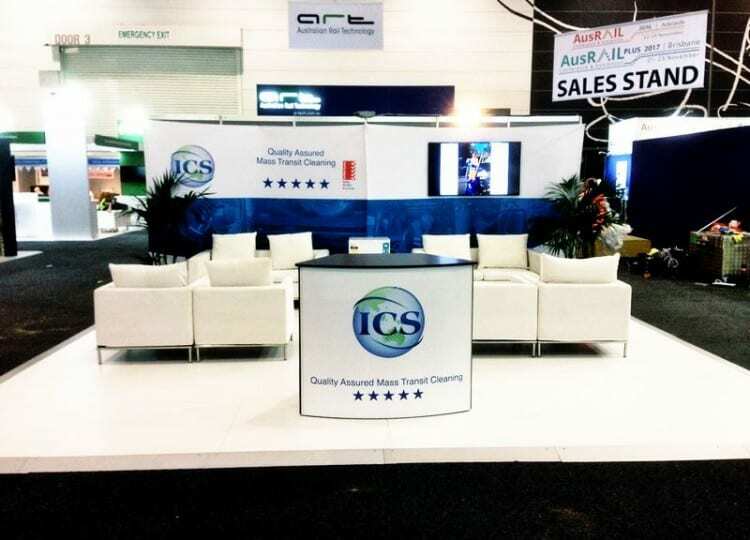 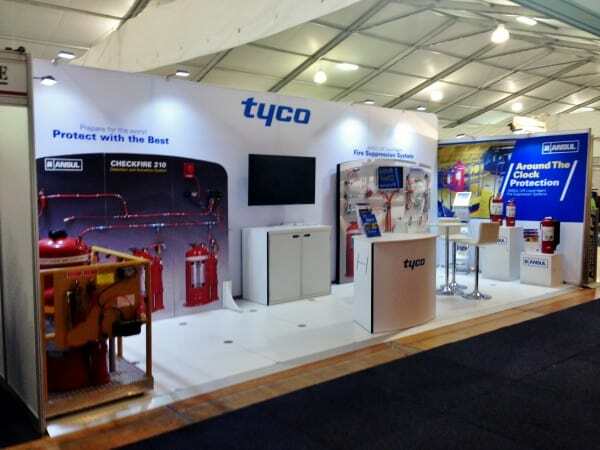 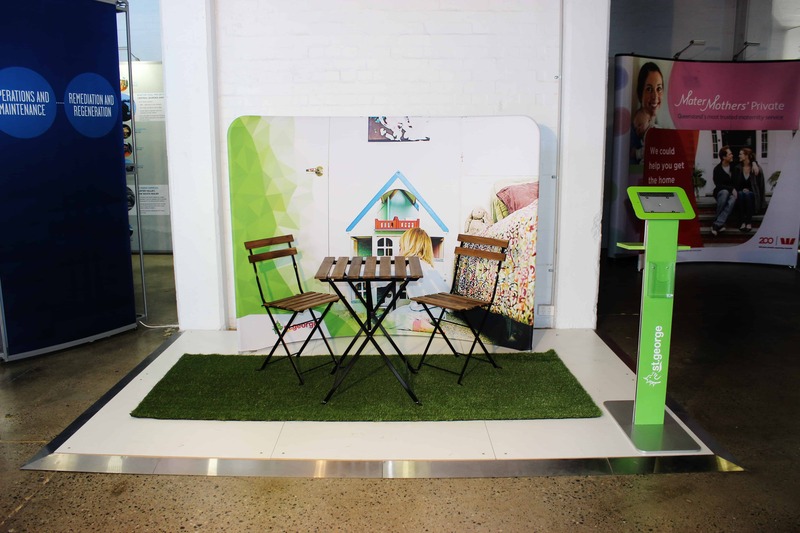 We can even create a custom sized display to suit most display spaces. 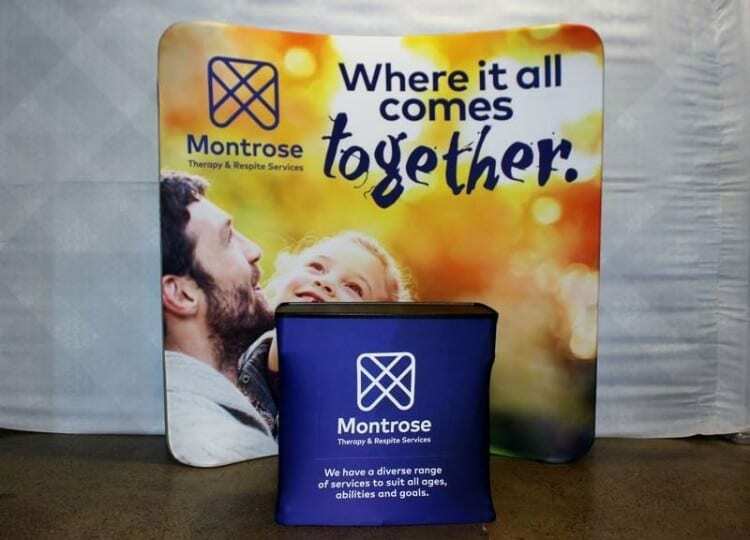 Upgrade to a plastic moulded hard case that can easily convert into a counter, printed with your branding. 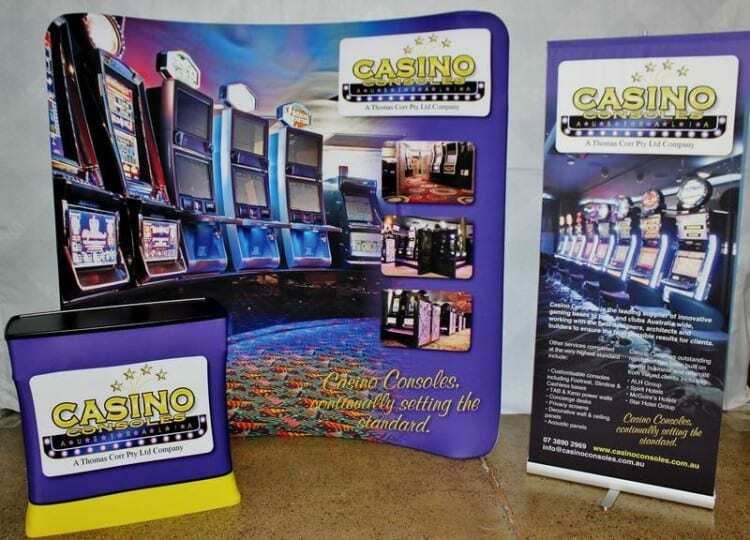 Add two LED Lights and/or the Stretch Fabric Waterfall Display Kit for more impact. 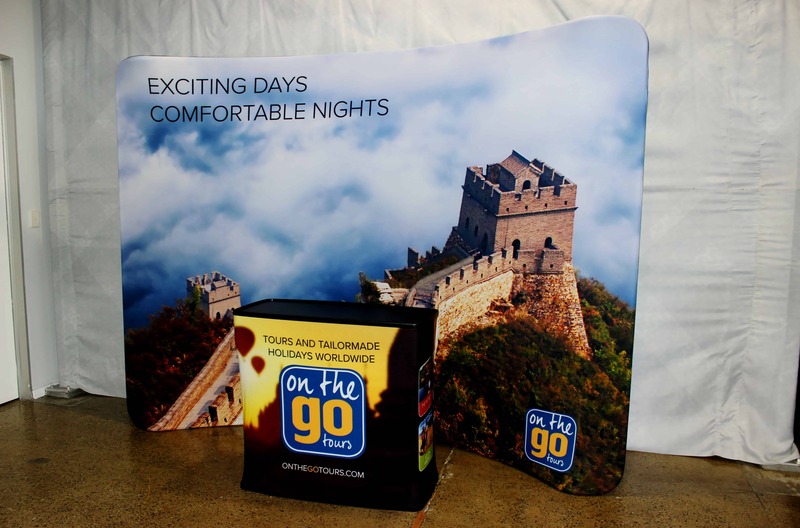 Graphics can be printed so your display can be set-up as either concave, convex or both with a double-sided fabric graphic.